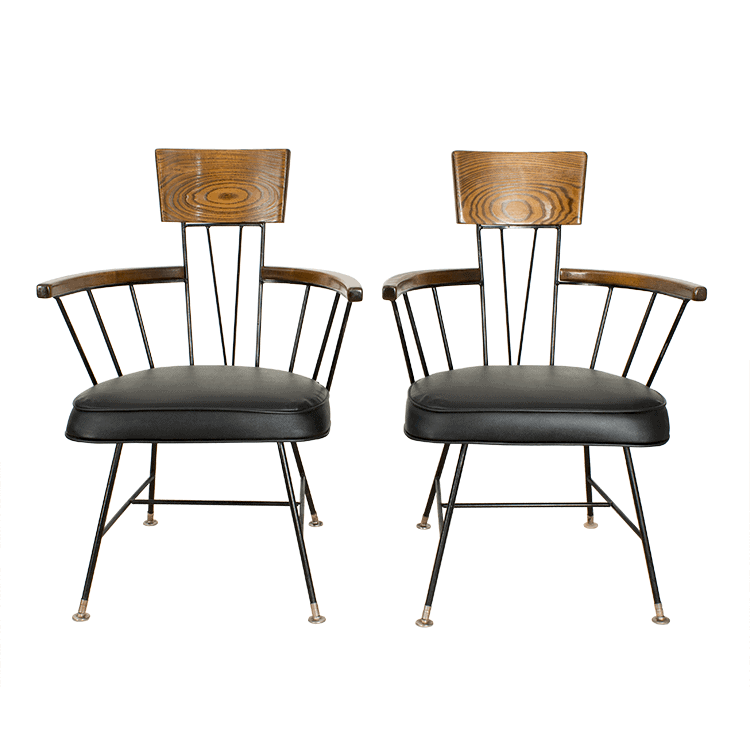 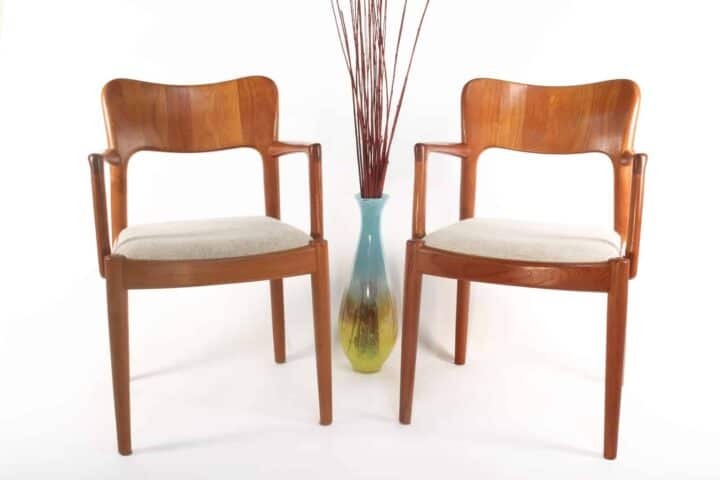 MCM 8 dining chairs in rosewood. 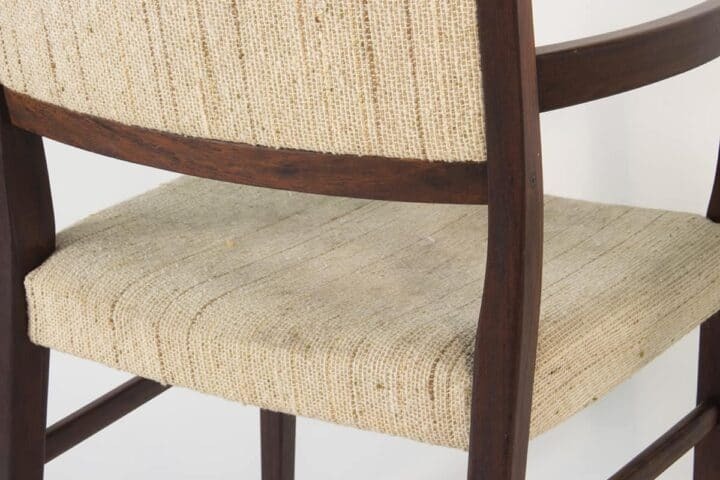 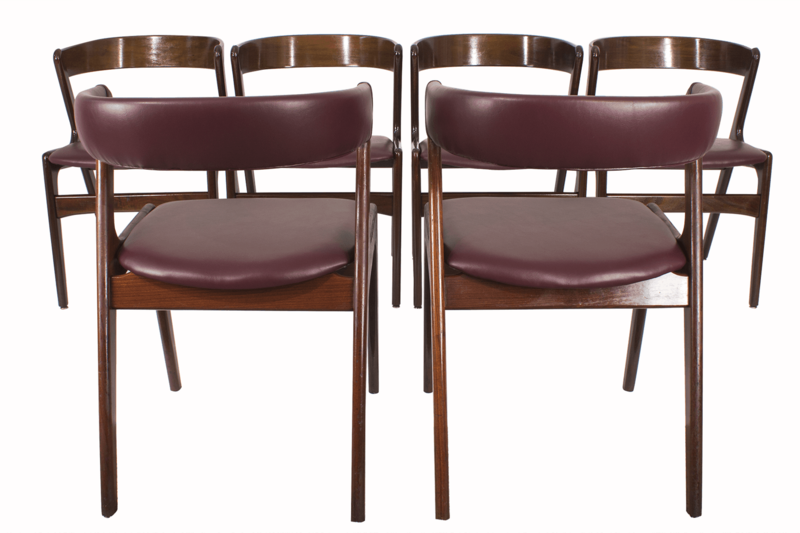 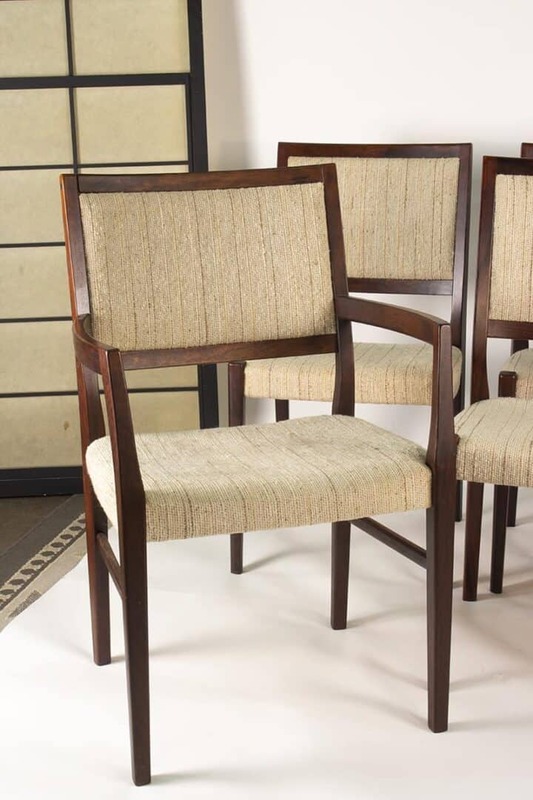 Handsome set of 8 chairs in a beautiful rosewood can be reupholstered to match your decor. 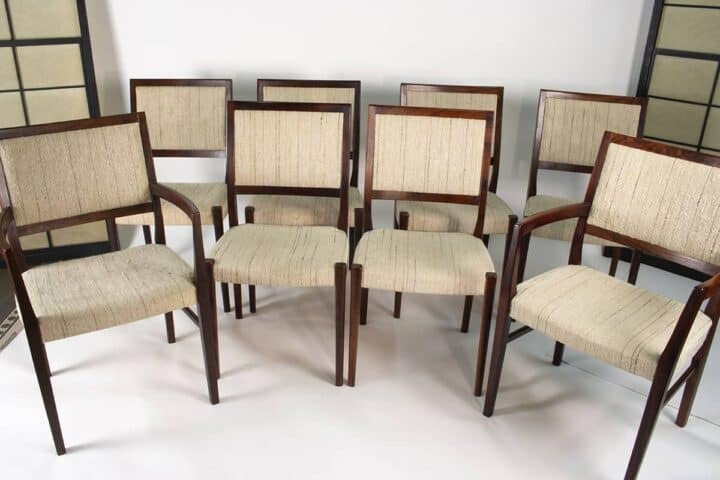 There are 2 armchairs and 6 side chairs.